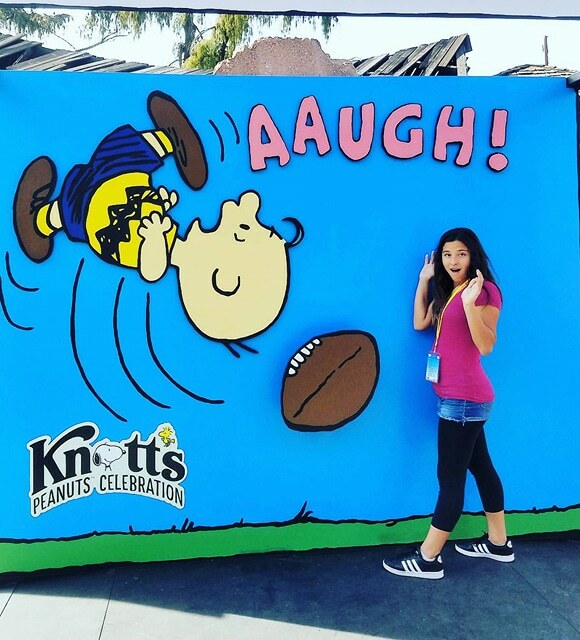 The Peanuts Gang Is Celebrating at Knott's Berry Farm! Visit Knott's Berry Farm weekends and President's day now through Feb 25th to experience Knott's Peanuts Celebration. 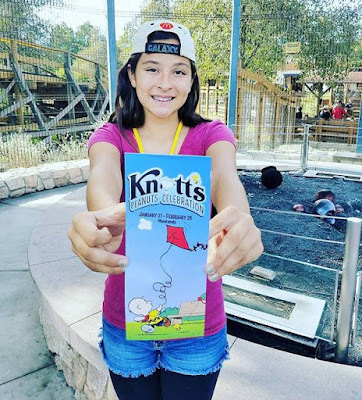 It's time to join the festivities and not only ride your favorite rides but get the historical 411 on all the Peanuts. 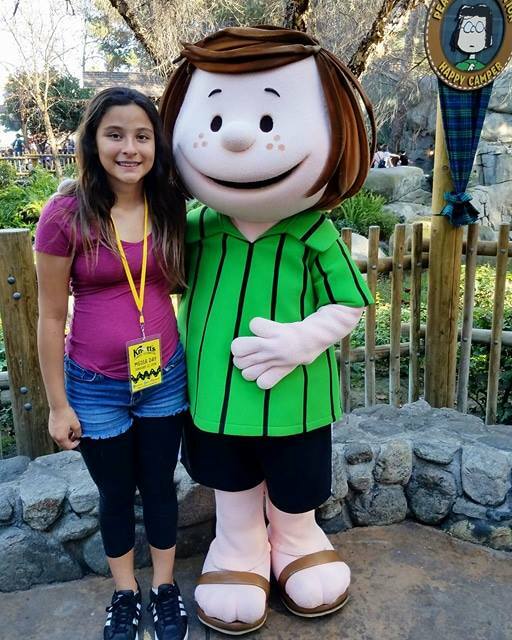 From Camp Snoopy to Ghost Town, your favorites are out and about, even Pig Pen makes his first appearance ever at Knott's during Peanuts Celebration!! 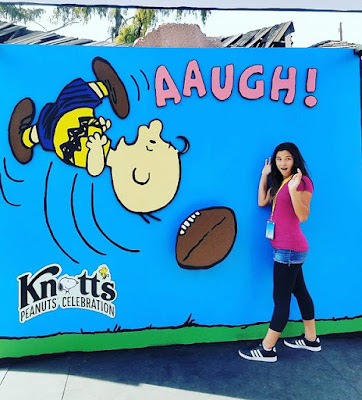 Here is the fun scoop on what you can experience too at Knott's during the Peanuts Celebration... oh and a few tips on how to make the most of your day if you need an assistance pass for special needs/Autism. 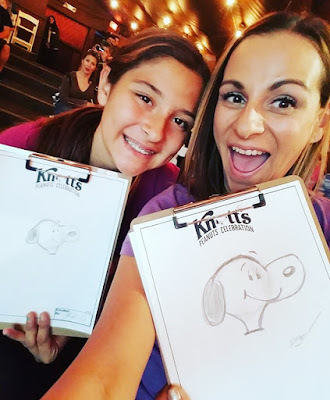 My daughter and I really wanted to participate in the Sketch class at Bird Cage Theater. It's not always easy to sit through a show let alone try to Sketch Snoopy if my son has a sensory overload. Since we came to Knott's as a family we decided to try to make a usual 4 hour day into a longer maybe 8hr day... I know we were pushing it but there is a lot to see and do!! It is really best to take full advantage of assistance when it is available for special needs of any kind, especially if it means the person is able to enjoy more of the fun too. Knott's Berry Farm has a Plan A Day assistance pass available. How does it work? 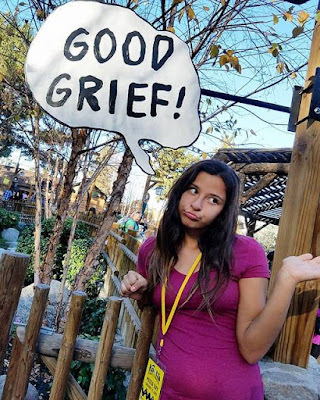 When you enter the park head over to Customer Service Guest Relations next to Ghost Rider and past Spurs restaurant. Advise the staff of the situation and how the Plan A Day will help. The Plan A Day is a form that has all the rides in the park attached as well with a set wait time for each ride. When you ride your first ride the ride attendant will write a new time down. The new time will be however many minutes the rides wait time was assigned and after that time you ride your next ride. So there is no heading back and forth for a return time, you can plan your day knowing how much time will be between each ride. 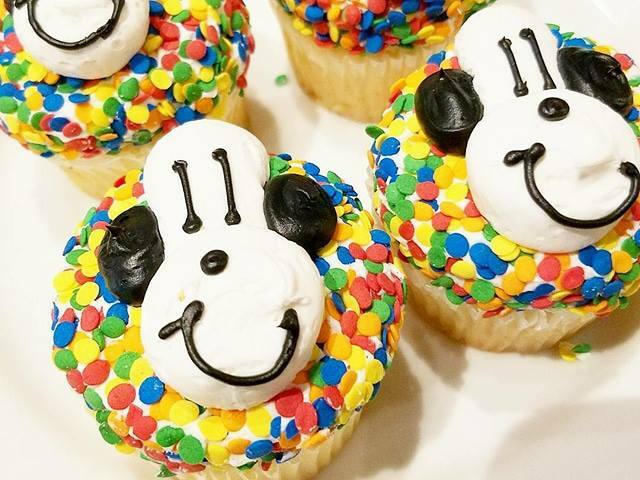 This helps literally plan the day out with breaks, snacks, shows and timing to prep for what's next and how to keep one entertained or go an a sensory break in between rides. It's very easy to use and extremely helpful. 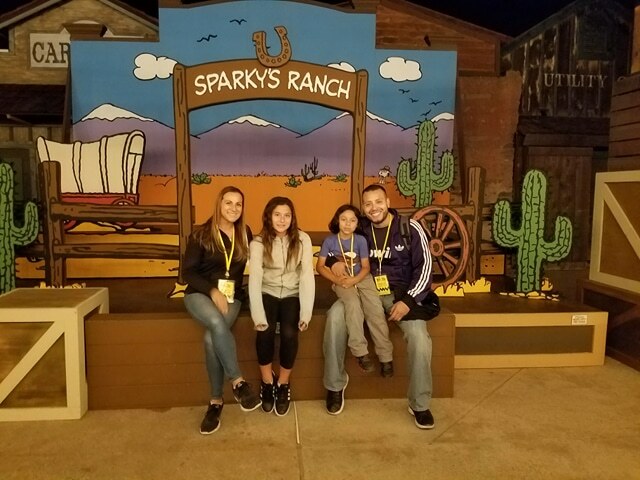 So amazing for Autism and my son that we were able to make the most of the day and last until 8pm. Because of the Plan A Day we knew that while us girls were doing our Sketch the boys were riding a few rides & having a snack in between. My boy loves the new Lucy & Charlie Brown stage show in Camp Snoopy. With a lot of audience interaction, singing and moving about it was perfect for all ages and abilities to enjoy. We met back up for more of the special activities and shows. One of our favorite moments was when we ran into Lucy, Charlie Brown, Sally and Linus over near the School House. It was so much fun to play hop scotch, brought the kid in me back! 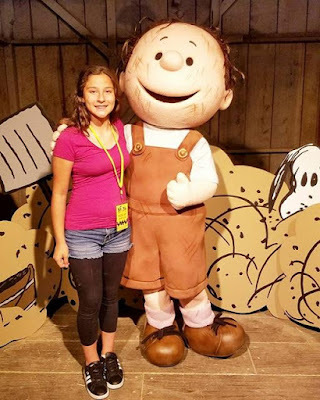 A must do is to visit the Barn and say hello to Pig Pen and his adorable piglets! Yes!! Piglets, horses and even a donkey all help Pig Pen keep it dirty! So cute.. 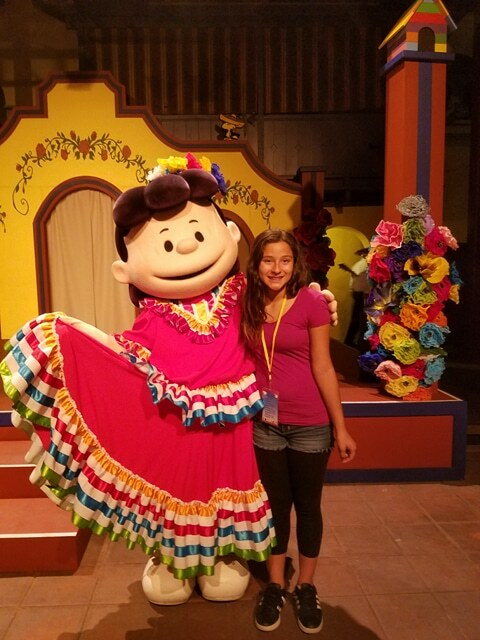 In Fiesta Village you can listen to live Musica from traditional Latin instruments in beautiful harmonious song while snapping a selfie with Lucy in her Mexican Floral dress! There are so many photo opportunities that you do not want to miss. At the entrance snap a pic with the pop ups and keep it fun or funny! 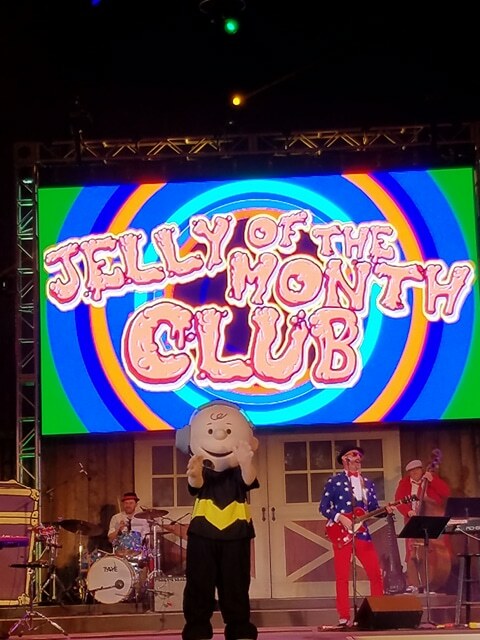 Inside of Camp Snoopy stop by and get everyone into the mix to help celebrate the Peanuts! The day really does go fast but if you take a look at the show times, figure out what rides you want to ride and decide on what specialty food items you want to try you can make the most of a really awesome day where no one is saying "good grief" hehe. 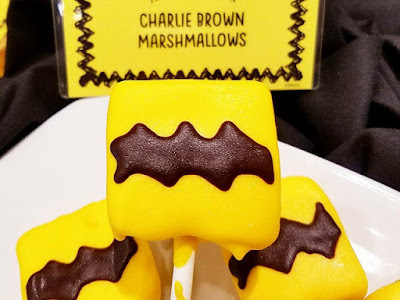 Okay so let's talk food! Each season, every Holiday and whenever there is a special event Knott's Berry Farm does a decadent job of creating amazing eats. But... this visit was all sweet to us this time. Pun totally intended... 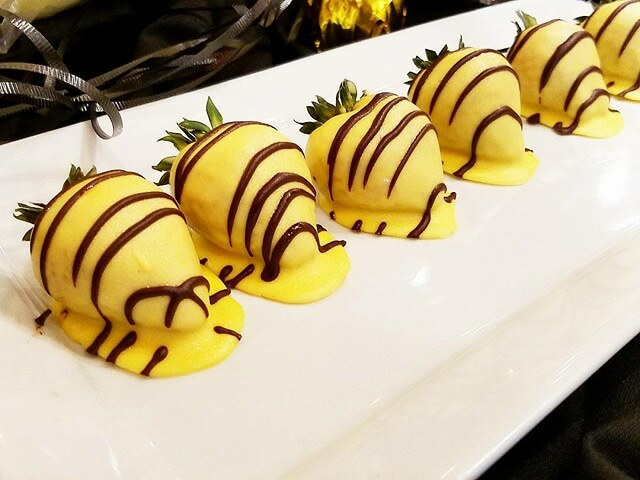 I mean we could not decide on what we wanted to tackle our sweet tooth with! 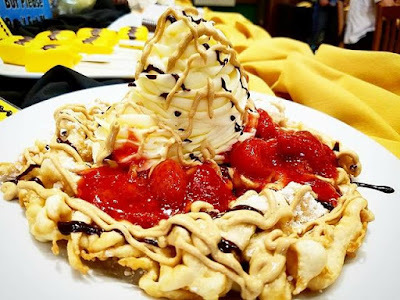 Why stop at the Charlie Brown marshmallows when you can head straight to the fully loaded funnel cake or maybe the Peanut Butter Raspberry Mouse Cupcake!! Not your cup of sugar.. how about the Cotton Candy or Loaded up Candy Apples!? 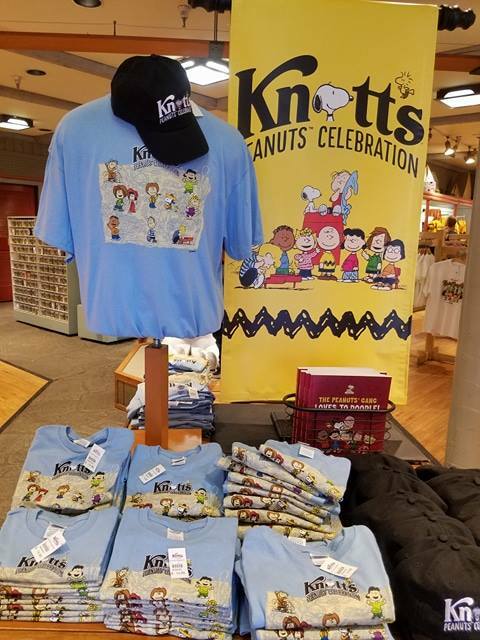 Whatever you may brave to crave and satisfy... Knott's Peanuts Celebration has it on hand. We couldn't finish our evening with out attending Woodstock's Music Festival. Seriously the best end to the night. Live band on stage that totally rocked and a crown that was loving it. It was really fun to see everyone of all ages having such a great time. 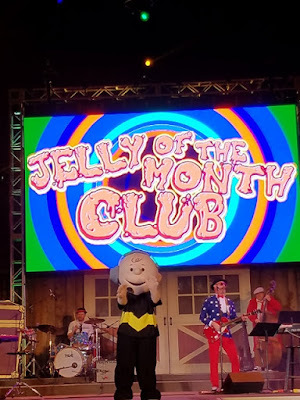 The evening of Peanuts on stage topped off a very successful Peanuts Celebration day! Special merchandise - there is some cute stuff to brows and take home. T-shirts, hats, bags and more.. it is all adorable memorabilia. 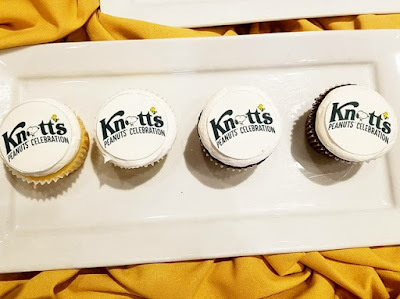 How Knott's came to life...the history of Mr. Knott & his wife, how the Berry Farm came about and the timeline of the comics that brings us to present day Knott's Peanuts Celebration! It was so fascinating to see how it all went down, became what it is and who brought it all together. 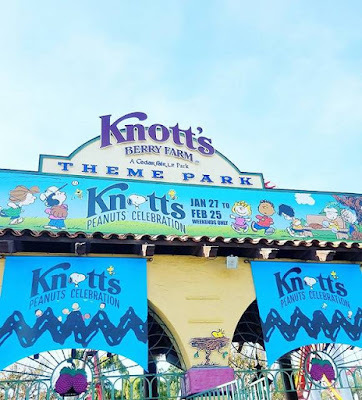 It was a completely different visit to Knott's Berry Farm for us this time. We totally took the historical, hands on and try to do and see it all route but with a plan. 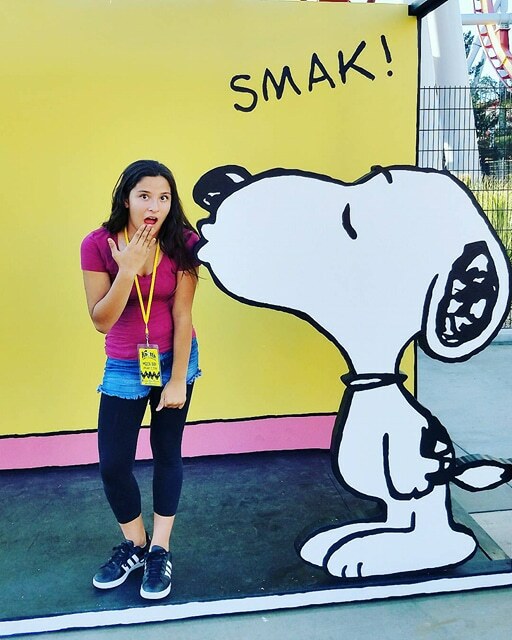 I think we all got to see, do and eat what we wanted to... that is a successful visit to Knott's hands down! Check out our Recap Video on YouTube here.